Panama, August 7, 2018. Pan-American Life Insurance of Panama, the 100-year-old leading personal insurance company in Panama, announced today that it has become the newest sponsor of Tauro FC for the Panamanian Soccer League’s Tournament Opening 2018 and Closing 2019, specifically to push the development of the Club's youth teams. Tauro FC is considered the pioneer of national soccer. It has more than 13 local titles, the second most of any team in the league, and is one of the most popular teams in the Panamanian soccer community. 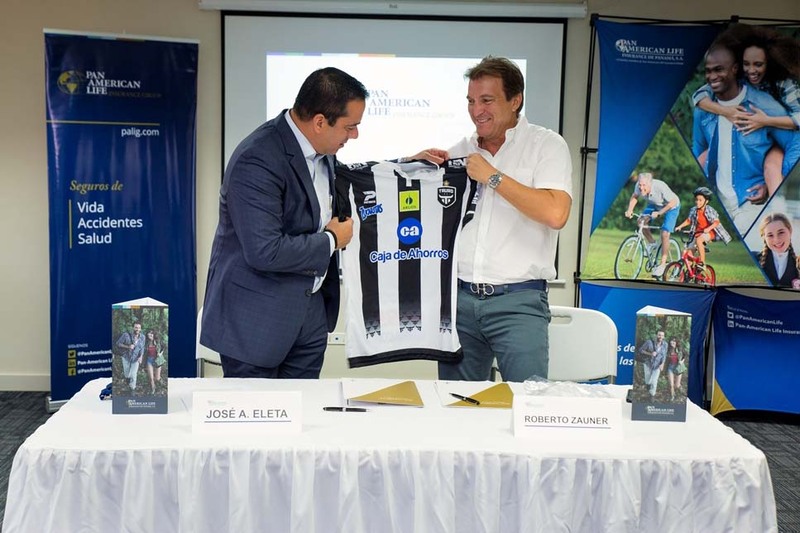 “We’re excited to invest in our local sports and especially the development of future talent that has the capacity to inspire so many young people to reach their full potential,” said Tony Eleta, Country Manager of PALIG Panama. For his part, Roberto Zauner, Board member of Tauro FC, thanked PALIG Panama for its commitment to Panamanian soccer and took advantage of the moment to deliver the Club’s official jersey which will be used in the season opening match. Sponsoring Tauro FC is aligned with Pan-American Life's vision to improve the sense of wellbeing of its insureds across the Americas, specifically through the promotion of active, healthy, lifestyles. This commitment to wellness is reflected in all of Pan-American Life’s operations elsewhere in Latin America as well as in the United States and the Caribbean.